Windows Live Writer provides an array of options for managing images in posts. Inserting pictures in a post is so easy that many bloggers never give it a second thought. There are some features that deserve a closer look. In an earlier post I described some of the details (“Insert Picture” in Live Writer – a look behind the curtain), now I will explore some of the finer points. With the command Insert > Picture > From your computer… Live Writer allows browsing the computer and inserts a copy of the selected photo. Clicking on the picture to select it, adds a Picture Tools tab to the ribbon. 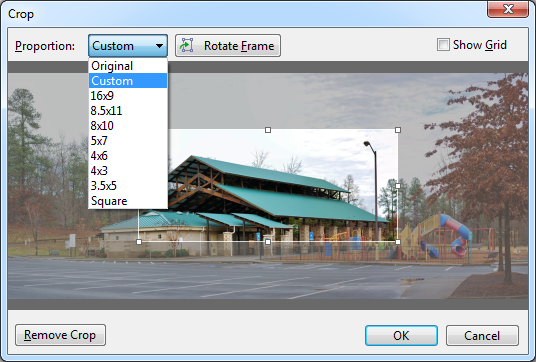 The Picture Tools ribbon has tools for cropping, sizing, and rotating the image. Other image manipulation tools include some limited effects and contrast control, and adding a watermark. See the illustration above. Images can have a variety of border effects and alignment and margin control are also provided. These tools provide a great deal of control over how an inserted image will appear in the post. 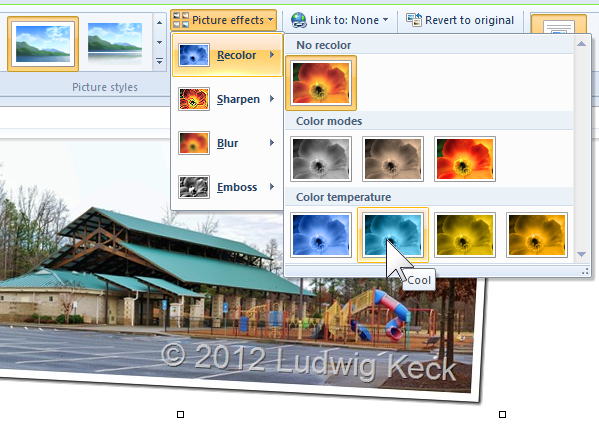 The group “Settings” on the Picture Tools ribbon provides a “Revert to original” command and a default control to apply the settings of an image to future insertions. These tools work on images that are inserted “From your computer”. For images sourced from the web most of the image manipulation tools are not available. There is one other group of commands, “Properties”, that finally get to the crux of our topic. The first one of these is “Link to: Source picture…”, the tool tip explains: “Choose where the link goes when this picture is clicked.” This means in the published post, of course. The command provides three options for pictures inserted from your computer: Source picture (this is the default), Web address… , and No link. For an image sourced from the web only Web address… and No link (the default for this situation) are functional. The link to “Source image” is an interesting option, you might wonder what is the source image and where is it. Live Writer creates two copies if the image for locally inserted pictures. One is the image shown in the Live Writer composing area – the one you see as it will be in the final post. This will be uploaded by Live Writer during the “Publish” phase to your blog image store. WordPress calls that store your Media Library and you can inspect and manage the contents. When using Blogger the image store is almost inaccessible, so we will use WordPress for illustrations here. The other image, the “source picture”, is also uploaded by Live Writer, provided the link setting is to “Source picture”. Note that this can be set on a picture by picture basis. The size of this “source picture” is set by the “Link options” command. If No link is set for a picture, only one image is uploaded, and the Link options are not available. The Source Picture Options dialog permits setting the size of this image. Choices are Small, Medium, Large, and Original. The default normally is Large, typically 640 pixels. As with the size setting for the displayed picture, the size can be manually set by typing a new value into the size boxes. The Open in new window check box, normally unchecked, allows you to specify how the source picture will be displayed when the image in the post is clicked. The last command in the Properties group is Alt text. This brings up the Alt-text dialog for the selected picture. The “alt text” of an Internet image is a text alternative for the image. For example reader programs assisting the blind will read this text to make clear what is shown in the browser. This blog is intended for readers who are not visually impaired and I generally leave the default word “image”, or the image file name, in the Alternate text box. If your blog is intended for all audiences, be sure to put a sufficiently descriptive line into this box. 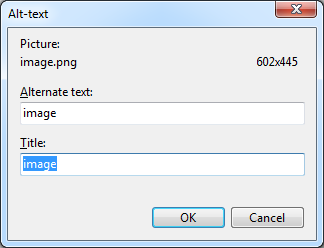 The Title box also defaults to “image”, or the file name. The text entered into this box will be displayed as the tool tip when a reader moves the pointer over the image. This, obviously, is a very useful feature. You can see how it works by moving the pointer over any image in this post. The illustration here shows a partial listing of the images in the Media Library showing images for this post. Notice the bottom two showing the images for the large, tilted picture at the top of this post. The bottom-most one is named “LJK_3827-33-ICE-stitch1.jpg”, that is the file name as it appears on my computer. This is the “source picture” and is stored in the Media Library in its original size since that is what I specified for this picture. The next one up has “_thumb” appended to the file name. This is the case for all images that are shown in the post. Also note that these “_thumb” images have border and tilt features that are specified, the “source pictures” do not contain those features. You can see how these pictures are displayed by clicking on any of them. Especially do this for the top “shelter” photo. The size of this is 1280 pixels wide, this may be wider than the setting for your browser so watch how your browser resizes this picture. When clicking on images above in this post, the linked images are shown “bare” on a browser page, that is with just white space to the the right and below. This is fine for getting information across, but when showing off your photographic masterpieces you may want a more “scenic” display. 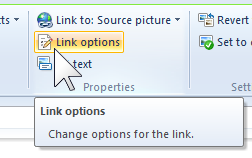 This calls for linking to display pages such as Flickr or SkyDrive. In this article I explained how Live Writer creates two copies of inserted pictures and sends them to the blog service. I have discussed the various options and controls for managing these images. There is one more caution I should point out: If you repeatedly post a draft to your blog, Live Writer will repeatedly upload the images. You can wind up with a large number of unused images in your Media Library. 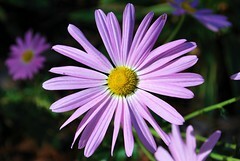 To illustrate the images in my Media Library for this post before completing the article, I posted a draft to the blog. 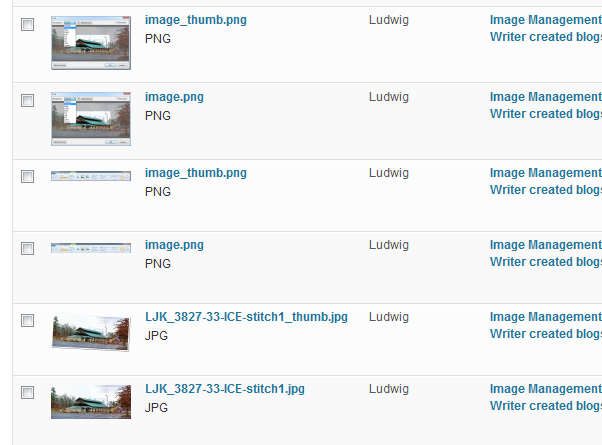 After making the screen shot showing the images in the library, I deleted the draft and the images from the library. Both steps are necessary on WordPress. Deleting the draft only gets rid of the text, the pictures have to be separately removed if duplication is to be avoided. Maps can make an article more informative and more interesting, and an interactive map provides a gateway to enjoyable resources to your readers. With Windows Live Writer, inserting a map is just about as easy as inserting a photo. Let me walk through the procedure with an example. 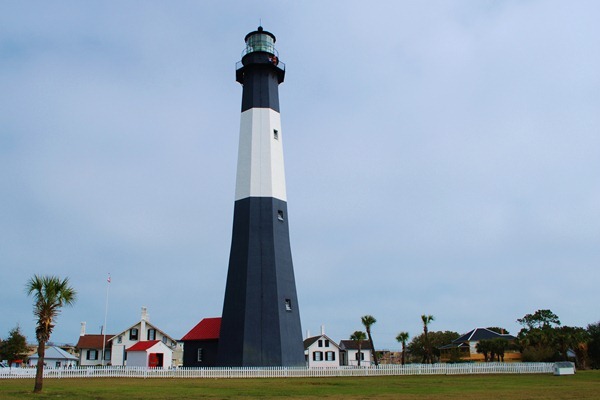 Let’s say that my blog article, about a fun vacation experience, contains a photo of the lighthouse on Tybee Island, Georgia. The story can be enhanced by displaying the location with a couple of maps. The Insert ribbon in the Media group sports a Map icon. This provides for inserting Bing maps. The Insert Map dialog starts with a world map. There is a Find location: text box which is the quickest way to show a map of a specific location. Just enter the name of the location of interest, click the magnifier “search” icon, and up comes your location. . 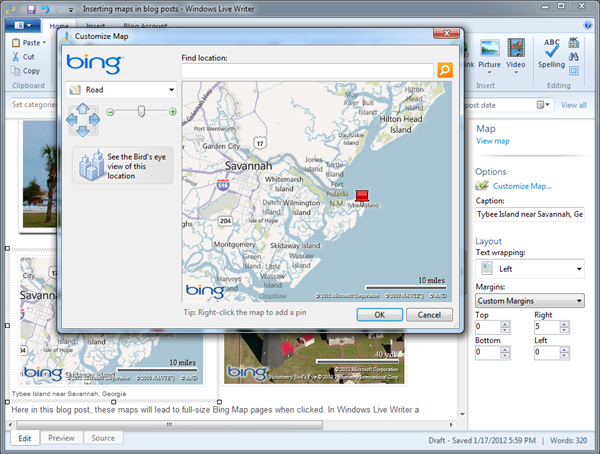 The dialog shows a live Bing map. You can drag it around, enlarge or decrease the view, just as you can when you are using Bing Maps. Also available are “Road”, “Aerial”, or “Bird’s Eye” view. The road view, like a normal road map, is available for all parts of the globe. Aerial view, or what some call satellite view, coverage is nearly complete. The “bird’s eye” views are low level, oblique, aerial photos. Many destinations have been mapped this way. So you can select the best map for your post. In this article I have included two maps to illustrate the variety. But first the lighthouse photo, and below that a couple of maps. A road map to give provide location information and a “bird’s eye” view.. Here in this blog post, as in your blog, these maps will lead to full-size Bing Map pages when clicked. In Windows Live Writer a map insert behaves a bit like an inserted photo. When clicked, a border is shown around it and there are option in a side bar on the right. You can see the border around the selected road map in the illustration above. The map can be resized with the resize handles the customary manner. The Customize Map… link in the side bar, brings up the customize dialog which is essentially the same as the insert dialog. You can move the displayed portion around and resize the view. You can also add a caption and customize the margins. To make the location easier to communicate to the reader, I have zoomed out the map enough to show recognizable landmarks in the map, here Savannah, Georgia and Hilton Head Island, South Carolina. I have also added a “pushpin” showing the location of the lighthouse. That is a mixed blessing. You can see that in the insert and edit dialogs there is a text line under the map saying: “Tip: Right-click the map to add a pin”. A pushpin will be added at the clicked location. You can move it around and specify some additional parameters. Unfortunately, the default operation brings up the “my places editor” on the viewer’s map, which may be more confusing than helpful.